Fig Reduction with Balsamic Vinegar of Modena Pgi is ideal for cheeses, fruit salad, ice cream, dessert and crepes. 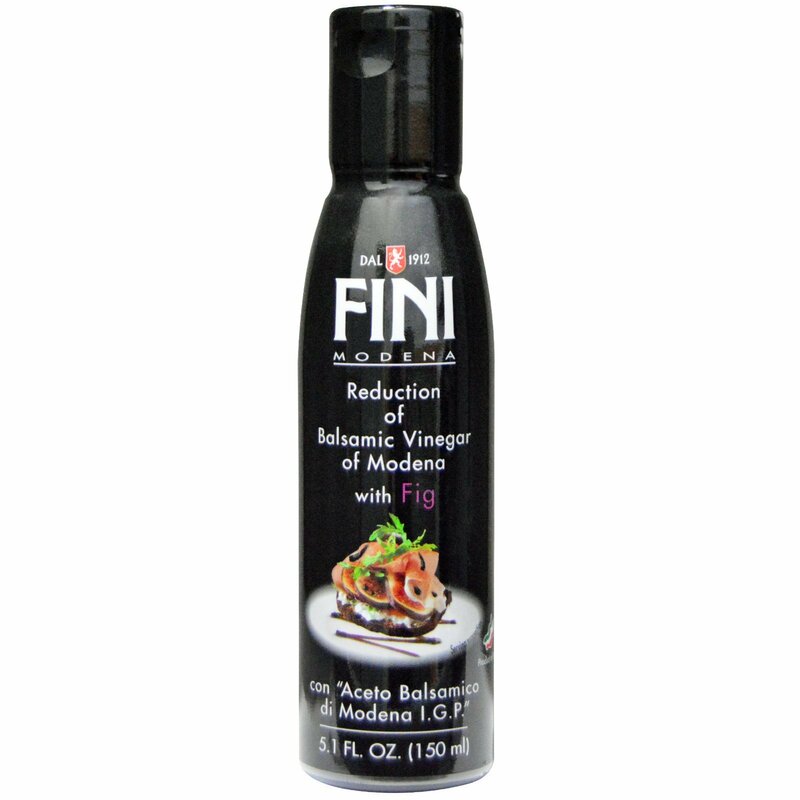 Use it with fantasy whenever a "balsamic" touch is needed on all your dishes. Balsamic vinegar of modena min. 60% (aceto balsamico di modena 1 g.p. : wine vinegar, concentrated grape must, colour caramel), cooked grape must, sugar, fig puree min. 5% food starch, xanthan gum stabilizer, natural flavour.